In today’s fast-paced and agile business world, technology must not only be capable of keeping up with rapid changes in the communication arena, but capable of shaping it too. As your business grows and changes, you need communication technologies that are adaptable and innovative. Technologies that merge the best of the past and present to pave the way for communication of the future. scaled to suit distance, location, organisation size and future goals. 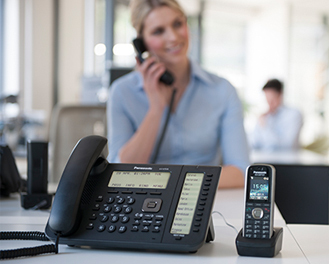 Whatever, wherever and how ever many your locations, Panasonic’s One-Look Networking allows you to centrally manage multiple systems across multiple offices in a single, unified communications platform. 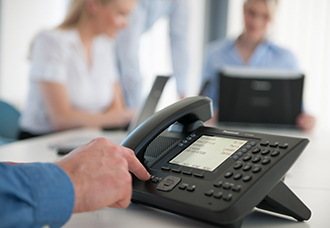 Telephony and network communication features even when two or more communication servers are networked. What’s more, there’s no need for additional servers as the system can easily be expanded via IP networking and a web-based maintenance console. Our KX-NSX2000 platform for example, can cover up to 32 sites and 2,000 users. For technology to be truly scalable it must be able to integrate with other devices and systems, old or new. That’s why Panasonic’s technology is always developed with integration capabilities in its DNA. It means that thanks to backwards compatibility, you can continue to use legacy systems to keep initial purchase costs to a minimum. And it means you always have the option to expand your system in the future should you want to embrace cutting-edge solutions. Our technology is flexible enough to work entirely with the business needs of both your today and tomorrow in mind. 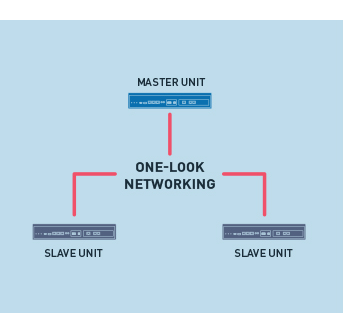 Thanks to One-Look Networking, should there be a failure in the master or ‘working’ unit, a backup unit will temporarily continue communication services without a hitch. For up to 30 days in fact. Equally, should the network itself fail, a Survival Gateway feature will automatically operate Simplified Isolated Mode – allowing each site system to continue to operate independently, undisturbed. Our technologies can be combined to create entire video and monitoring communication suites, using IP networking. For example, the KX-NTV series offers sensor and image-capture capabilities that can be configured to email or call notifications.